Whether your teeth are stained and discolored, chipped, cracked, or are slightly misaligned, porcelain veneers can correct your smile. Made from thin sheaths of porcelain, they cover the front of your tooth, blending in beautifully with the rest of your teeth. Custom-crafted to each patient, you select the shape, color, and style that best compliments your appearance. You’ll leave with a beautifully shaped, white smile, and the best part is no one will ever know! Why Choose Porcelain Veneers Over Braces? Veneers are a quick-fix treatment option, giving you a new smile in just a few visits to the dentist office. Braces can often take months or years depending on whether you get Invisalign or traditional braces. If your teeth are discolored or stained, veneers will address that issue. Their white coloring will blend in with your smile, whereas, braces only address alignment. The same can be said for the shape of your teeth as well. While veneers can give you a perfectly aligned, whitened, and shapely smile, braces can only give you a straighter smile. Veneers are much lower maintenance than braces. Since your veneers act just like normal teeth, all you need to do is maintain good oral hygiene habits by brushing and flossing regularly. With braces, you must either navigate cleaning between wires and around brackets, or you must rinse and soak aligner trays in addition to brushing and flossing. 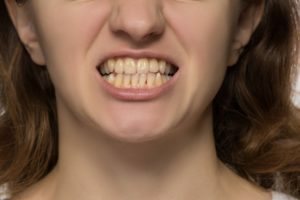 When looking for ways to straighten your teeth, or should you decide you need some level of cosmetic dentistry, talk to your dentist about porcelain veneers. It’s an option you may not have considered but could be the one to give you the smile you want. Dr. Arindam Kakkar is a graduate of NYU, College of Dentistry. He also has a general dentistry degree from India and amassed five years of experience. Enjoying all aspects of general dentistry, he is proficient in full mouth restorations, oral surgery, denture therapy, cosmetic dentistry, composite/cosmetic fillings, and Invisalign. To learn more about him, contact us at (908) 850-0005 or visit our website.